Hotel The ARCHI is located Near Sukhadia Circle which is a prime location for any tourist coming to udaipur, it is 5 KM from the city Railway Station, 4 KM from central Bus Stands, 22 km from the Airport and walking distance from the Lake Fateh Sagar and the famous Lake Udaipur city. To pamper the guests with ultimate comfort, luxury and pleasure the hotel offers multifarious amenities and services. The ideal location and warm hospitality makes it a widely accepted hotel by all types of travellers. The hotel offers well appointed luxurious AC guest rooms, gracefully decorated and furnished with all modern amenities. 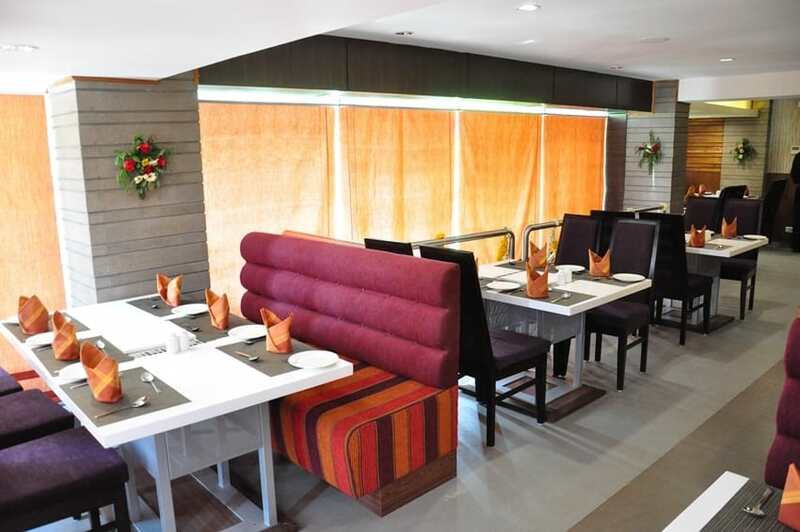 It has panoramic view of Sukhadia Circle and the town from the rooms and Restaurant. Safe Deposit Box-Front Desk, Doorman, Gardens, Recreation, Internet/Wi-Fi, Backup Generator, Catering, Parking, Family/Child Friendly, Room Service. Iron/Ironing Board, Wakeup Calls, Internet Access, H/C Water, Complimentary Newspaper, Child Care, Moisturiser, Ceiling Fan, Voicemail, Daily Room Cleaning. User reviews for "The Archi Hotel Udaipur"